I consider myself to be a big fan of Emma Watson; following her female-empowering contributions led me to her inspiring online book club, and from there, to this book: How To Be a Woman. The captivating thing about Caitlin Moran’s feminist book is that it doesn’t claim that to be a woman is to be like this or that. The book is a memoir of significant incidents and events from her life, in which she simply tells her story as an ordinary woman who had to deal with puberty, toxic relationships, demanding fashion, sexism at work, abortion and motherhood, etc. Thanks to these obstacles, Moran managed to find her own voice and become the empowered woman she turned out to be. Whilst reading this book, Moran felt like my nonjudgmental feminist friend. It felt as if she was taking me out for a coffee on a warm, sunny day to tell me about her weird, funny, and confusing English childhood. The topics she chose to tackle were very relatable, and as I was reading, I found myself thinking: “Yes, this is so true!” and “Oh, I never thought about it this way”. I laughed hard at her jokes and her teenage debates with her sister, Caz, on what to name their vaginas just in case they had to say something about them in an urgent situation. One of the interesting parts in the book for me (besides Caitlin’s humor! ), is her opinion about fashion. Moran doesn’t attack the fashion or make-up industries; she believes that every woman’s body is her castle. Each woman decides what she wants to do with it. This is one of the confusing issues in general because people are either glorifying fashion and make-up, or relating them to naivety and a lack of self-confidence. However, Moran only criticizes women’s dependence on makeup to find their self-worth. Many women are afraid they are never enough and, so, use make-up and fashion to feel more worthy and that’s what she is against. When Moran tackled issues like having or not having children, she stated how the world doesn’t need more unloved or neglected children for no good reason, but society’s emphasis on the exceptional role of the woman in birthing children. She values the characteristics women gain from motherhood, such as: courage and wisdom, but she also states clearly how other challenging life experiences can provide the same set of characteristics. Accordingly, she argues, women who choose not to be mothers don’t miss out. There are many women and men in our lives that we want to send this message to, and Caitlin Moran says it better than anyone possibly can. This book screams at readers reminding them to: JUST BE THEMSELVES WITHOUT SHAME OR FEAR and after reading it I felt like passing it to everyone I know. 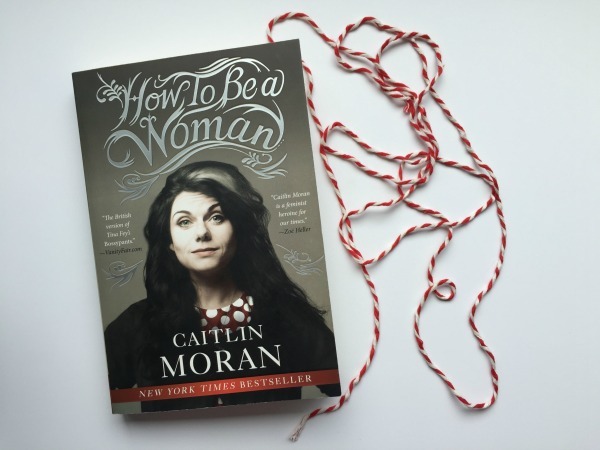 Caitlin Moran’s How To Be A Woman is not only about the experience of the English woman she is, but about womanhood, in general, as a source of strength rather than weakness. By the end of the book, I found that she doesn’t give instructions on who to be or how to act, but rather a feminist perspective that made me view the world as a space of possibilities rather than a limited space for myself as a woman. Hello, I’m a 20 something student of English Literature. A lover of the “word” and how each language uniquely conveys the same “word”, a lover of the mind’s eye and the black holes of imagination, and a digger in theories and philosophies. An all-time reader, Rock n Roller, storyteller and enthusiast. ← Why is PUBG so addictive?